DALB’s capabilities go beyond printing. 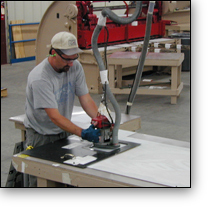 We have extensive knowledge in custom fabrication. 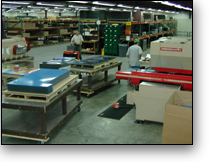 Utilizing a broad range of equipment, we have the capability to die-cut, router, trim, laminate, and bend our finished products. All of this is done within our production facility by our trained staff saving our customers time and money while maintaining our strict quality controls.